No summer season would be complete without potato salad, an essential side dish. The flavors and textures of a simple potato salad can be totally satisfying as is, but add in a few items and you can have a dish that is absolutely extraordinary. Here, we'll cover the basics of putting together a great base potato salad, then progress to some next-level ingredients. Brace yourselves—you may never look at potato salad the same after this. 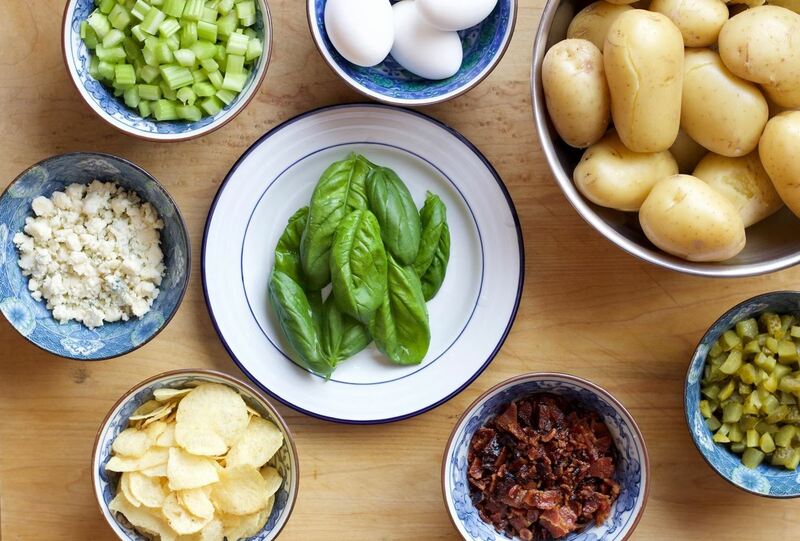 Here are the seven basic ingredients that we put into every potato salad, no matter what our add-in ingredients may be. 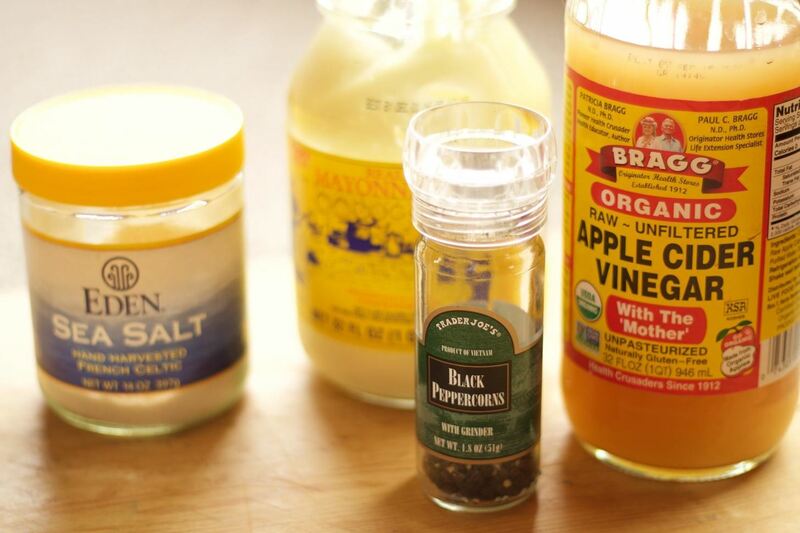 Any kind of potato can be used for potato salad, but certain types of potatoes pair better with certain add-ins. Sometimes we use sweet potatoes with caramelized pecans or red potatoes with a ton of fresh dill... you can figure out your own favs. For this particular salad, we used Yukon Gold and chose to keep the skins on. The tang and crunch of a salty dill pickle is unparalleled in the potato salad world. 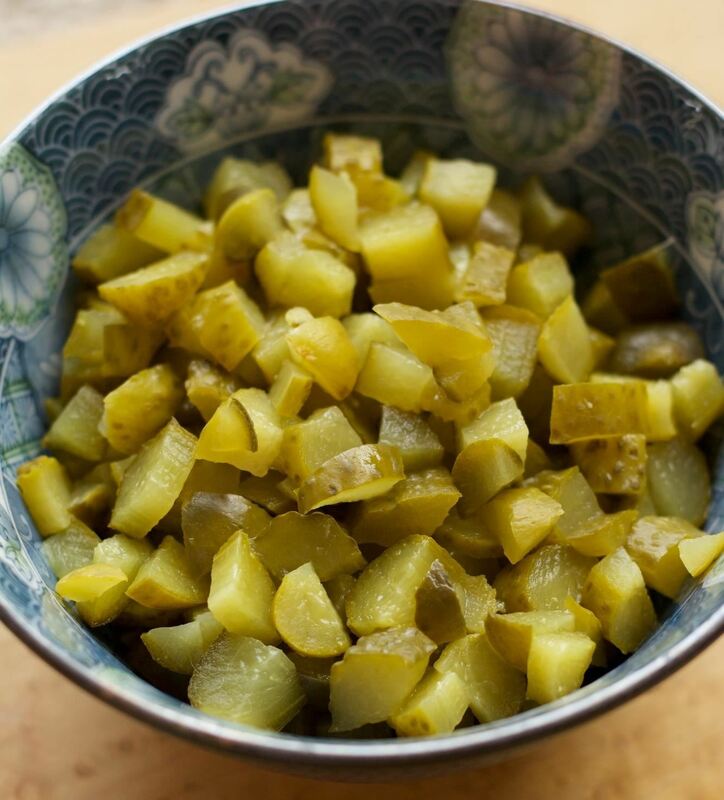 We suggest erring on the side of too many pickles rather than too few: the pickle lovers will thank you, and the pickle "likers" can just pick some out. 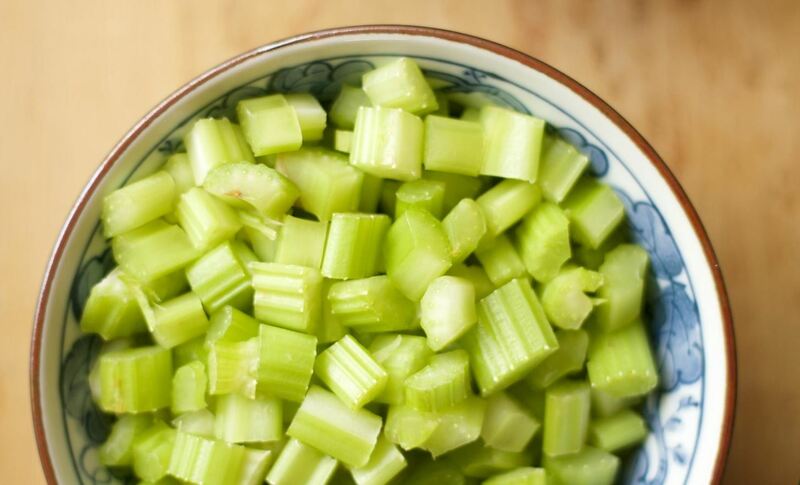 Celery has a mild taste and unique texture, the perfect accompaniment to a salad packed full of flavor. And, like its friend the pickle, it adds a much needed crunch to what may otherwise be a somewhat soft-textured salad. These four items are key. Opt for a high-quality mayonnaise for creaminess and a vinegar of your choice (we like to use apple cider) for a tangy splash. Season to taste with sea salt and black pepper. So, there are the basics. Now it's onto the really good stuff—the add-ins that will take your potato salad from standard to sensational. We go for applewood smoked bacon with our potato salad. 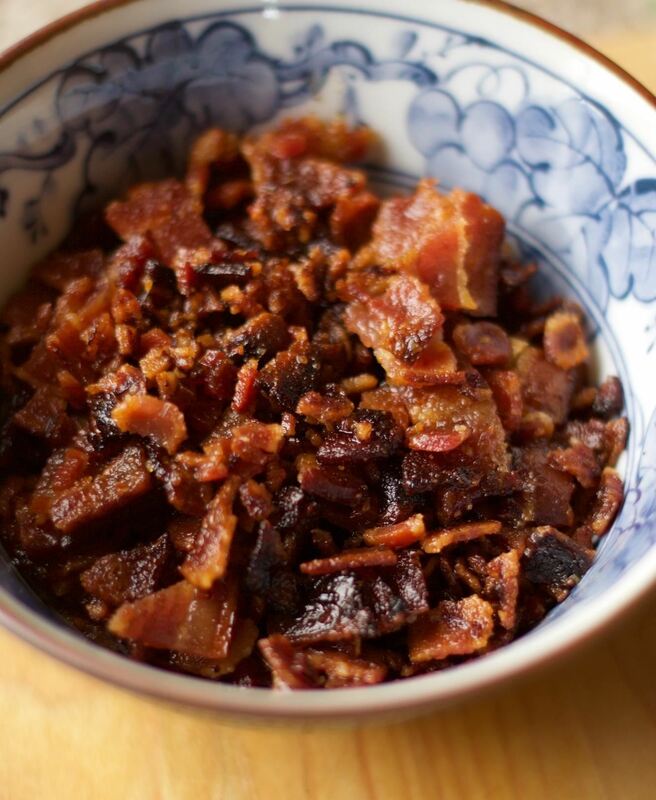 We pop it in the oven at 425°F for 20 minutes, and when it comes out, it's the perfect consistency to chop and turn into bacon bits. But you can cook it however you are used to doing it—the important thing is to make sure it's nice and crunchy. Fresh herbs are a stellar addition to almost any potato salad; they bring a lovely, summery taste to the dish. 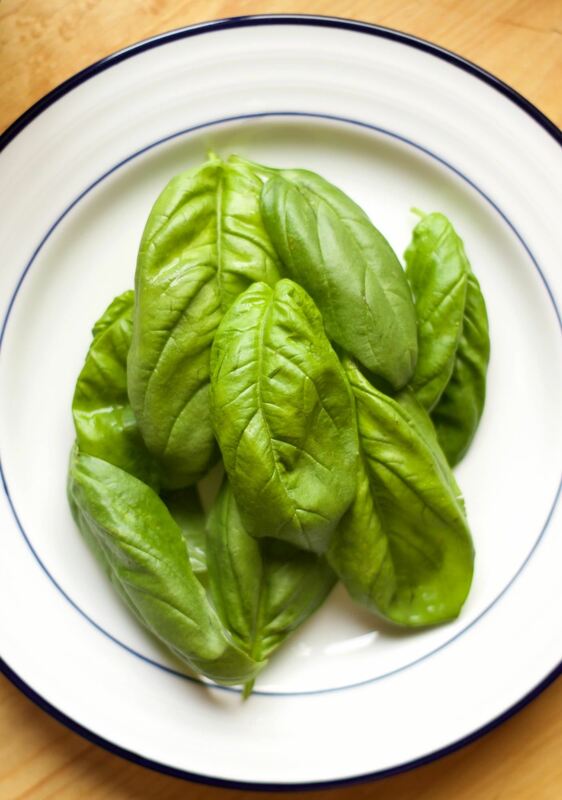 Basil happens to be one of our favorites with these ingredients, though often we'll reach for rosemary or thyme from the garden, too. 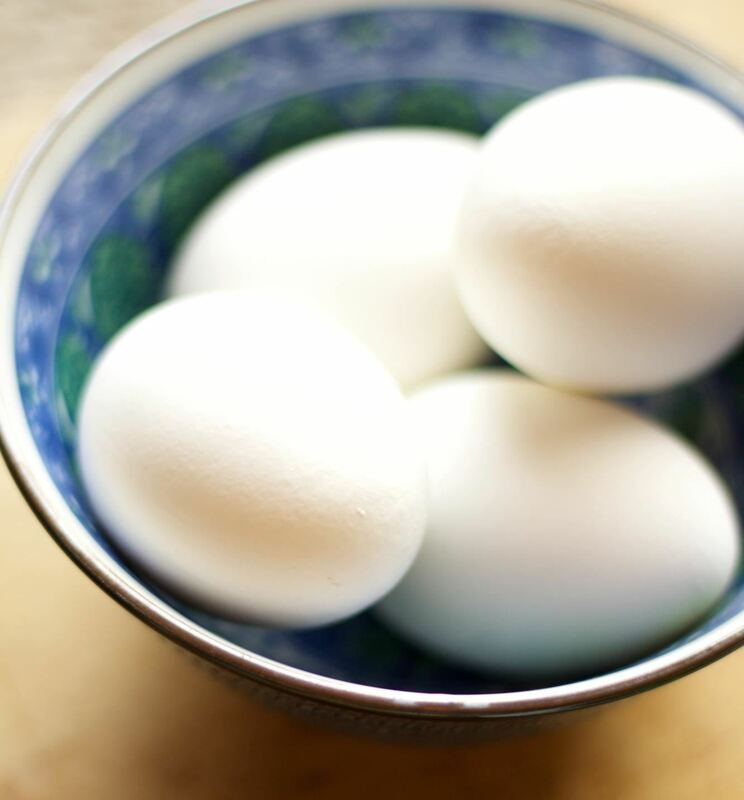 Add some healthy protein to the mix with a few hard-boiled eggs. 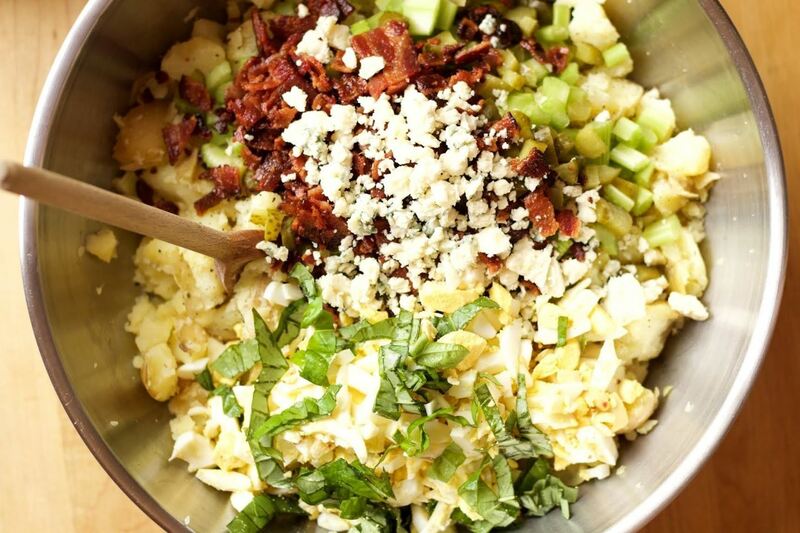 These will work to enhance the flavors of the other ingredients (bacon, eggs, blue cheese—it's almost like a Cobb salad! ), and they look beautiful when diced, too. 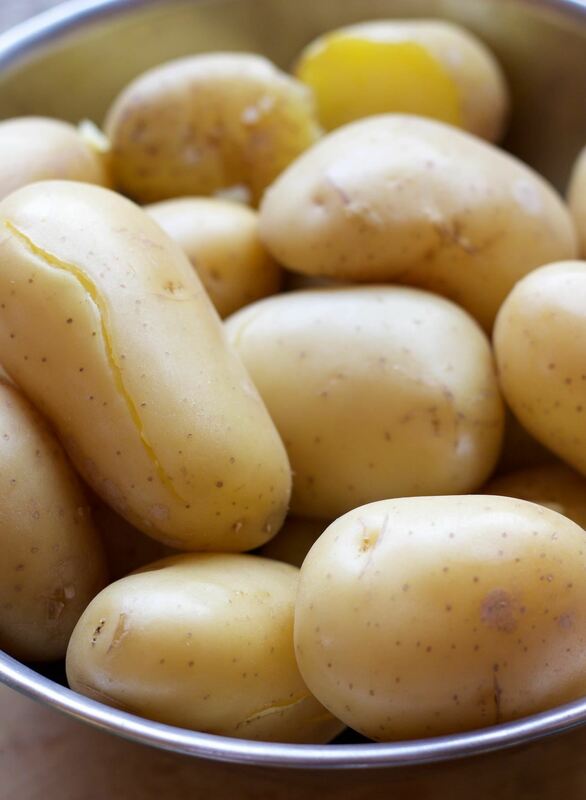 Our mystery make-it-or-break-it ingredient for the perfect potato salad? Crunchy potato chips! We like to wait until the very end to add these so that they don't get soggy when mixed with the other ingredients. 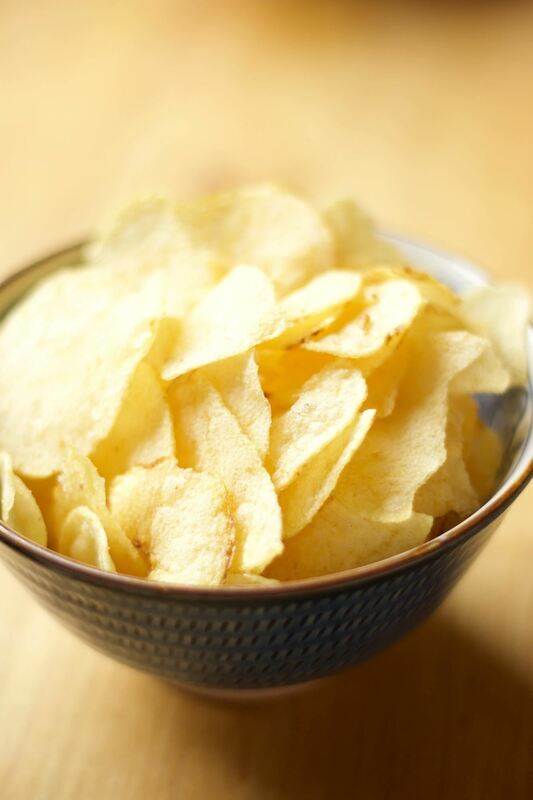 If you're feeling adventurous, add another layer of seasoning by including flavored potato chips. Smoky barbecue, savory rosemary, or even spicy sriracha—the only rule is to make sure that the chip flavors don't overwhelm the other tastes in your potato salad. Often folks opt for mixing in cheddar cheese with their potato salad, and that is a valid choice. 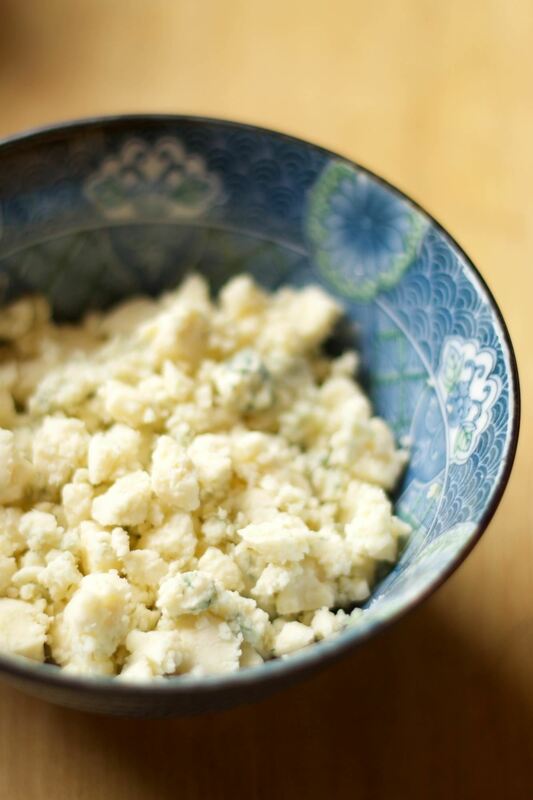 But for us, the strong flavor and rich, melt-in-your-mouth texture of aromatic blue cheese makes it our number one cheese choice for potato salad. It's moist and crumbly and delicious—even if you think you don't like blue cheese. In fact, sometimes, blue-cheese-hesitant friends will even tell us, "You could have added in even more, you know!" Once you've gathered all your ingredients, simply mix them together (don't forget: chips last! ), and you will have what is easily the most beautiful and most delicious potato salad you have ever made. Have any other ingredients you like to add some wow to your potato salad ? Let us know in the comments below.